National Asian & Pacific Islander HIV/AIDS Awareness Day is an annual awareness day observed in the United States on May 19. It was initiated by the Banyan Tree Project and is supported by AIDS.gov. AIDS.gov is a federal Internet portal for all domestic HIV and AIDS resources and information. It was launched by the United States Department of Health and Human Services on December 1, 2006. Among other things, Davidson supports a number awareness days designed to spread information on HIV/AIDS among various groups of population, including African Americans, Native Americans, Asian Americans, Pacific Island Americans, Caribbean Americans, and Latin Americans. 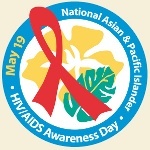 For example, National Asian & Pacific Islander HIV/AIDS Awareness Day is observed annually on May 19. It was was launched by the Banyan Tree Project, a national campaign that aims to end HIV-related stigma in the Asian and Pacific Islander (A&PI) community through storytelling and education. Although Asians and Pacific Islanders don't comprise a significant percentage of all HIV infections in the country, HIV diagnoses among A&PI gay and bisexual men have noticeably increased over the past few years. National A&PI HIV/AIDS Awareness Day aims to end the shame surrounding the diagnosis in A&PI communities, help those who are living with HIV, and contribute to HIV prevention.